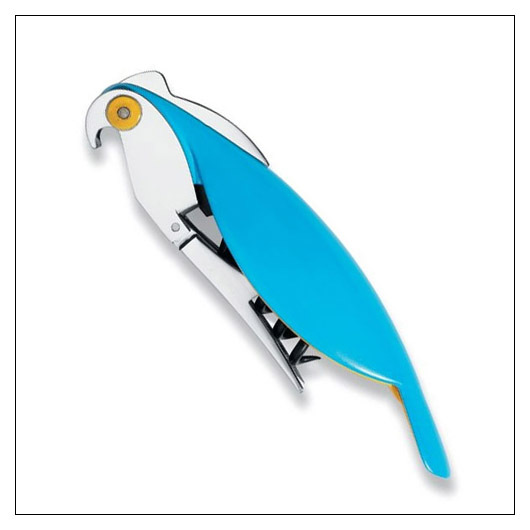 Alessi Parrot Sommelier Corkscrew (ALPARROT) at Pure Design / Accessories / Kitchen ::: Furniture for the Home, Office, Home Office, and More at Pure Design Online! The Alessi Parrot Sommelier Corkscrew designed by Alessandro Mendini is a practical and pocket-sized corkscrew in a parrot-shaped design. The Parrot Sommelier Corkscrew features cast aluminum and plastic material.